These routes are officially part of the Eisenhower Interstate System, yet are official essentially only on paper or internal documentation as no shields or other signage of their existence is posted. The routes otherwise adhere to Interstate standards and receive funding similarly to other fully posted routes. Unsigned Interstates are generally not posted in an effort to not confuse or overburden motorists with an additional number on an already signed route. 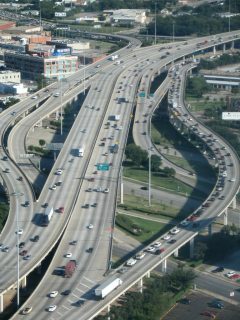 This is the case with not signing Interstate 595 in Maryland due to well established status of U.S. 50 along the same stretch of freeway. Interstates 124 and 296 were previously posted, but later transitioned into unsigned routes due to overlaps with much longer U.S. Highways. 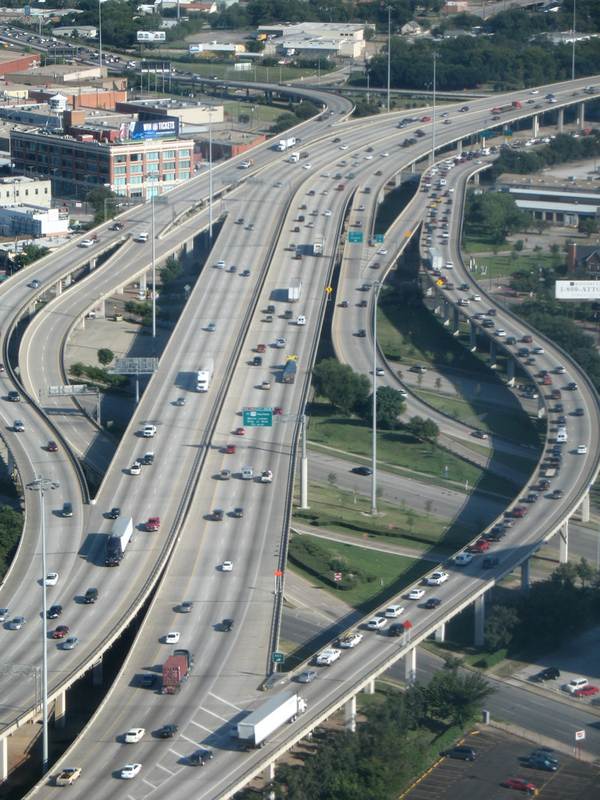 IH 345, just north of the symmetrical stack interchange with IH 30 and 45 in Downtown Dallas. Photo taken 10/01/07. Interstate 345 is signed as "TO U.S. 75 North" for northbound and "To IH 45 South" for southbound. U.S. 1 north at the east end of the Falmouth Spur (Maine Turnpike), when it was still a part of the I-95 mainline. Photo taken by Jeff Royston (01/11/03). Interstate 495 was moved from the Maine Turnpike mainline to the Falmouth Spur in 2004. 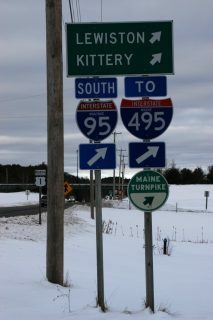 Since the Spur is so short, MaineDOT opted to establish it as an unsigned route. Signs instead direct motorists west to I-95 or east to I-295.